The world we live in today is changing at a fast pace and is highly complex and frequently confusing which leads to feelings of stress and/or anxiety. 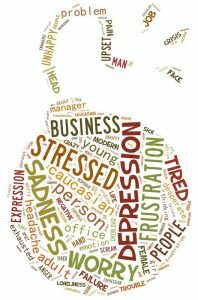 Many people come to LKH for a variety of issues but stress is frequently at the core of these issues. I have enjoyed working with clients to help them create different thoughts that create calmness and more peacefulness in their lives. I have some of the most powerful tools at my disposal that I look forward to sharing with you so you can take them home and use them for the rest of your life. It is an honor to work with clients to help them change their thoughts, feelings and behavior. This mind, body approach really works to change your life. I am really good at this and I would love to show you how you can remove those feelings of stress and anxiety. It’s easy. Read on and then call me. If you have a diagnosis from your mental health provider, hypnosis is complimentary to traditional mental health services for alleviating anxiety. LKH will work with your doctor to help you. We generally use the word “stress’ when we feel overwhelmed and we don’t believe we have the resources to deal effectively with the challenge. Stress can affect your thoughts and feelings and your behavior. When we are stressed our blood pressure rises, our breathing becomes more rapid, our digestive system slows down and our heart rate rises, and our immune system goes down, and our muscles become tense and frequently we do not sleep as we are in a heightened state of alertness. We often feel angry, burnout, depressed, insecure, irritable, sad, and restless and have problems remembering things and solving problems. Anxiety and stress affect our eating as we tend to overeat or eat very little, we have food cravings. Sudden angry outbursts and higher tobacco consumption are also frequently due to stress. Abuse of drugs, alcohol can also be a symptom as can frequent crying and relationship problems. LKH will individualize a program to meet your unique needs. Our program will address your issues using a two-prong approach. We will help you to remove erroneous beliefs that are contributing to the stress and anxiety and we will teach you strategies that you can use every day to cope with the ongoing stress of every day life. Give me a call today you will be surprised and amazed at how easy and powerful hypnosis is.